The work of Jacques Lacan has become an influential source to most disciplines of the social sciences, and is now considered a standard reference in literary theory, cultural studies and political theory. While management and organization studies has traditionally been preoccupied with questions of making corporations more efficient and productive, it has also mobilized a strong and forceful critique of work, management and capitalism. It is primarily as a contribution to this tradition of critical scholarship that we can see the work of Lacan now emerging. In this edited collection, a number of organizational scholars have made common cause with political theorists and psychoanalysts. 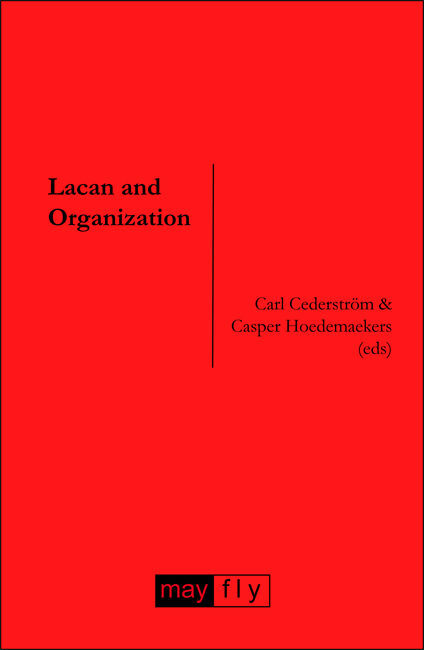 Together they explore the many intersections of Lacan and organization. The contributions address a series of pertinent questions: What are the new templates for control in the workplace? How is subjectivity produced in contemporary organizations? And how can a Lacanian reading of contemporary work politics render new insights into resistance and ethics? This edited collection includes contributions from Peter Fleming, Rickard Grassman, Jason Glynos, Campbell Jones, Carol Owens, André Spicer and Yannis Stavrakakis.